Opis: These near-infrared Hubble images of dust surrounding young stars offer the latest tantalizing evidence for planets beyond our Solar System. At left, the dark gap seen in the dust disk is reminiscent of a similar large gap in Saturn's rings believed to be sculpted by orbiting moons. 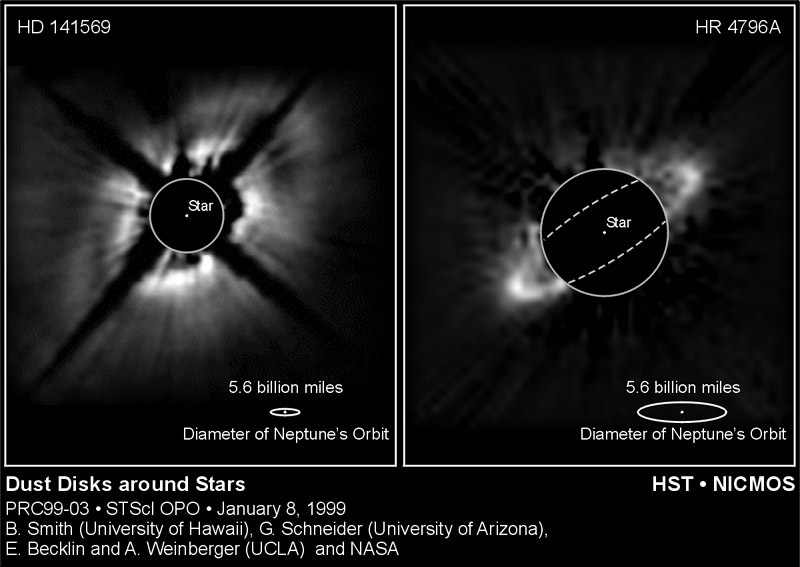 By analogy, the gap in the dust disk of HD 141569 may be a larger scale result of unseen orbiting planets. At right is a relatively thin stellar dust ring suggestive of planetary rings held in place by orbiting moons. On a much larger scale this ring around the star HR 4796A could also indicate the presence of orbiting planet-sized bodies too faint to be directly visible. 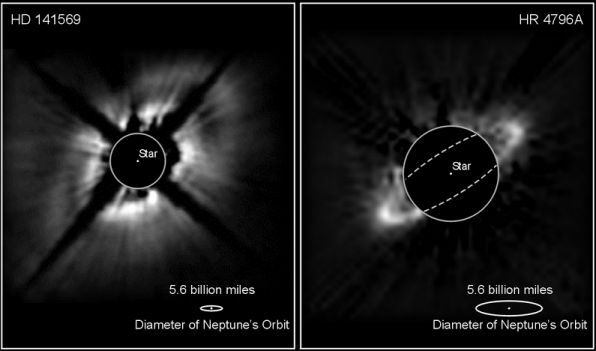 For a distance comparison, the orbit of Neptune is drawn at the lower right of each picture. The overwhelmingly bright starlight at the center has been blocked out to reveal the dim dust features.